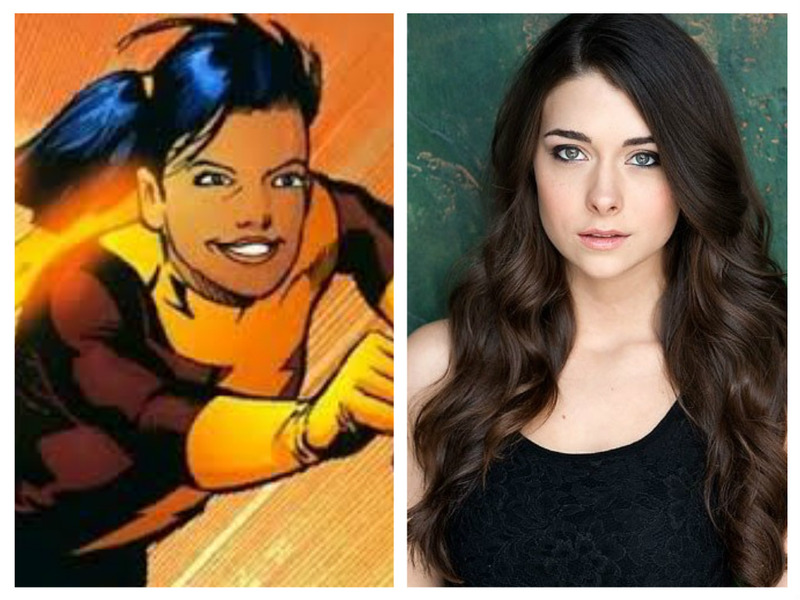 The first female speedster to appear on 'The Flash' has been cast and is ready to wreak havoc on Central City. 'Days of Our Lives' actress Allison Paige will play Eliza Harmon aka Trajectory who arrives in town to create mischief and a headache for Barry Allen. TVLine had the scoop of the casting and describes her appearance in episode 16 as "Trajectory’s antics are misinterpreted as having been perpetrated by the Flash himself. Barry thus must quickly! uncover the mystery of who is the girl under the mask — as well as what is driving her mad desire for speed and destruction." The arrival of the "first female speedster" makes me wonder if we'll ever see Jessie Chambers (Violet Beane), the daughter of Earth-2's Harrison Wells who's being held hostage by Zoom, become her comic book alter ego as the speedster Jesse Quick. I suppose it could still be a possibility leading to two female speedsters on the show but Trajectory is the only labeled as such. I would hope showrunners have more in store for Jessie than just the season-long damsel in distress. Meanwhile, episode 11,"The Reverse Flash Returns," is on tonight and the title is pretty self-explanatory. We just don't know how exactly the formerly evaporated Eobard Thawne (Matt Letscher) is still alive and what he's doing back in Central City. All will be revealed on the CW at 8 p.m. See the preview for tonight's episode below. Reverse Flash takes off the gloves on tonight's new episode of The Flash at 8/7c!